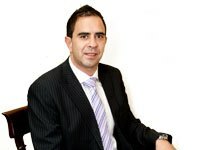 Matthew is a Director Partner with over 20 years experience in property, banking, finance and commercial law. Matthew has substantial experience acting for developers and builders in all property related work including due diligence, acquisitions, disposals, off-the-plan selling and strata, leasing and building & construction with significant experience in residential, commercial and industrial property. Matthew acts for a number of financiers in relation to loan documentation and structures. In particular, Matthew assist in the documenting of residential, commercial, construction and taxi loans.